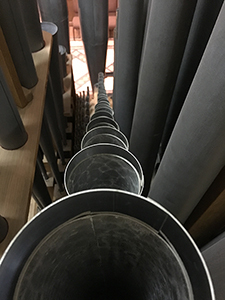 A view inside the organ loft. In early October Jeffrey Mead conducted a demonstration of the problems with the organ to a gathering of people after worship. Meanwhile Jane Ring Frank, assisted by Bruce Alexander, is in the final stages of contracting with Fisk Organ, Inc. for the restoration work. Once signed we will be placed on their calendar to have the work occur during February and March with completion by Palm Sunday 2017. We will have a need to house two workers from Fisk, Monday through Thursday nights, so that they can maximize their time in our sanctuary when they are on site. No meals needed, just a warm bed and a shower each night. Stay tuned for more on this as we learn more about exactly what days we need to do this. But if you think you might want to help with this speak to Jane, Bruce or Jeffrey. We have had a series of conversations about our ideas and hopes for Ripley Chapel during October. These included children, our Forum youth and adults. The conversation will continue, we hope, at coffee hour and at any times members of the congregation gather. The flip chart will continue to be available in the Chapel for your ideas. 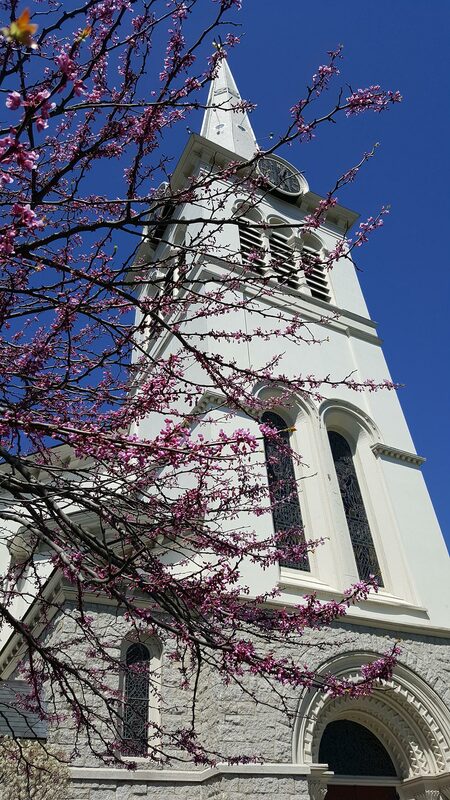 On November 12 the Embodied Prayer Evening will be held in Ripley Chapel—with flexible seating of course since the pews are still stacked at the rear of the room. Torrey Architectural is actively working on the Schematic Study Design. David Torrey brought in two teams of engineers during October to analyze everything from sprinklers systems to air conditioning potential to the wall materials. David is planning to present the results of his study by end of this month. We expect to reveal his designs in December and compare them to all of your ideas and begin to sort and prioritize what we want to do. The Jena Roy Fund has been set up by our Treasurer, Bruce Lauterwasser. While we have not begun a formal fund raising effort, you can certainly contribute to this fund at any time. We know we will need to raise additional funds to complete the work on the organ and to continue the next phases on the Chapel. We hope to have an idea by the end of this year what the total target for fund raising will be. Bruce Alexander, Laurie Roby, Carolyn Plosky, Rev. Will Burhans, Rev. Judy Arnold, and Jane Ring Frank.